On the subject of the speeches, the amounts are simply stunning. 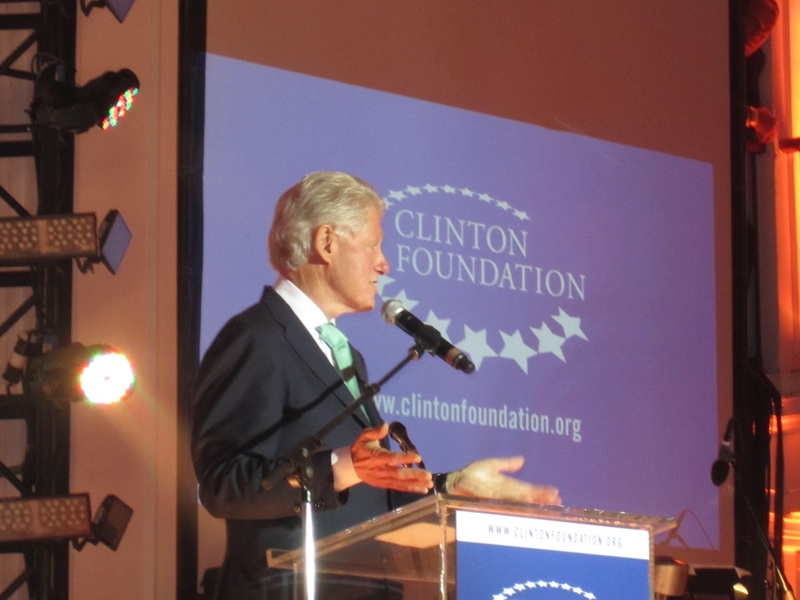 The New York Times, looking through newly released disclosure forms, reported in mid-May that Bill and Hillary Clinton made—the Times said “earned,” though that verb seems difficult to justify—at least $30 million delivering speeches in the previous sixteen months.3 Her average fee was $235,000; his, around $250,000. Together, they have made more than $125 million giving speeches since 2001, to say nothing of book royalties and investment income. First of all—and here’s a question that is rarely raised—what on earth do they say in exchange for this kind of money? It’s difficult to know. They need to do better than this, and not just for political reasons, but because judgments about their integrity and future use of power are at stake. It’s one thing to be secretary of state. It’s another to be the president. A presidency can’t have questions like this swirling around it from day one. Imagine speculation that a White House decision with regard to Russia or Pakistan was influenced by a donation to the foundation from someone pursuing a business deal in one of those countries.